You can email me: ddimick [at] gmail [dot] com. My focus is the visual intersection between humans and geography, and showing the collision between people and planet has dominated my life’s work. I have produced and encourage environmental photography that documents accumulating impacts of humanity’s expanding aspirations. Eyes on Earth, co-founded with photographer Jim Richardson, nurtures this idea of witnessing environmental change through photography, with a goal of inspiring a new generation of environmental photographers. I currently advise “River Stories,” a class in visual environmental narrative at the University of Oregon School of Journalism in Eugene. My slide show lectures address this ongoing collision between people and planet in what scientists call the The Human Age, or Anthropocene. I was the 2018 Ruhl lecturer at the University of Oregon, the 2017 Seaman A. Knapp Lecturer for the National Institute of Food and Agriculture, and in 2010 was the Gov. Tom McCall Memorial Lecturer at Oregon State University. From 2008 to 2012 I co-organized the Aspen Environment Forum in collaboration with the Aspen Institute. For more than 40 years I worked in journalism, first as a photographer, reporter, and editor at newspapers in Oregon, Washington, and Louisville, Kentucky; and from 1980 through 2015 I was a picture editor, and for a decade environment editor at National Geographic in Washington, D.C.
I’ve been on the Missouri Photo Workshop faculty for more than two decades, and in 2013 received the Charles M. Sprague Memorial Award from the National Press Photographers Association for service to photojournalism. 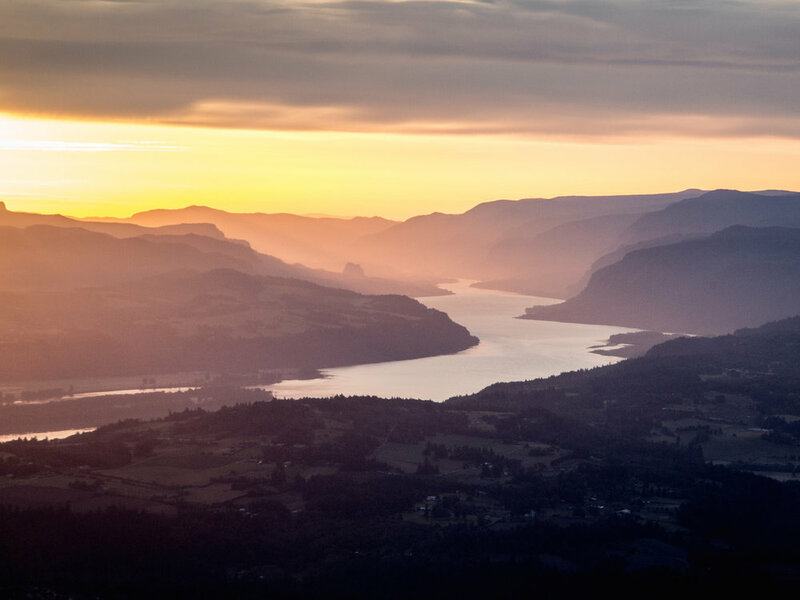 I grew up on a small farm south of Portland in the Willamette River Valley of Oregon, a tributary of the Columbia River (above) in the U.S. Pacific Northwest. My parents were fisheries biologists. Photography is a life-long passion, I have been photographing for nearly 50 years. Recent work can be found at the Photography tab on the menu. Among the projects here you will find an ongoing five-year project that shows Anthropocene landscapes as seen from commercial airplanes.